1. 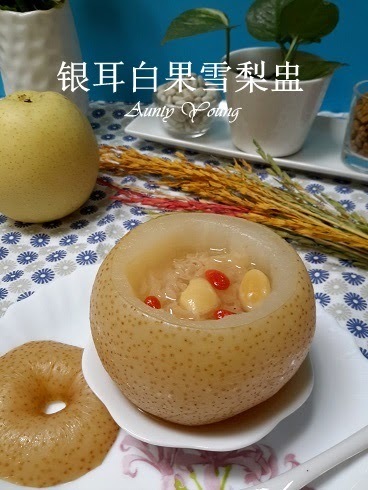 Soak the white fungus for 3 hours. When it has soften, wash away the dirt and remove the shell, then tear it into small pieces to be used later. 2. Wash the pear, then at about 2/3 up of the height, cut the fruit open. 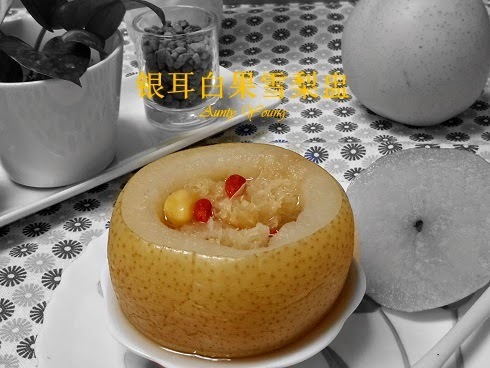 Scoop out a hole in the pear to make a bowl. 3. 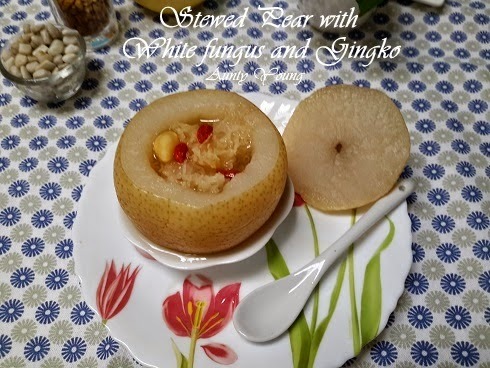 Place the white fungus, gingko，wolf berry and rock sugar into the pear bowl, then place the bowl into a steamer and steam for 45 minutes. Serve while hot. Good morning Aunty Young, oh ! 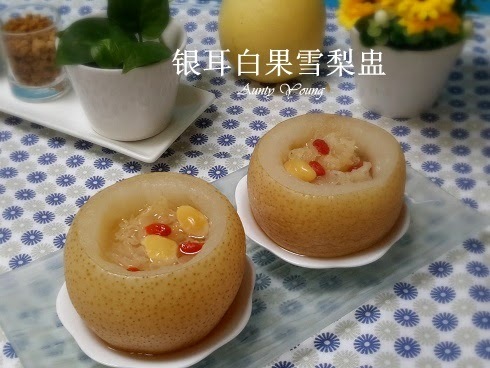 this is one of my favourite desserts. Have a blessed Labour Day holiday!